Programmes under Child Protection Services (Umbrella ICDS), Department of Women & Child Development and Mission Shakti, Odisha. Sponsorship is a conditional financial support rendered to the children staying in a recognized/unrecognized child care institution and can be restored to their families or extended families and the children who are rescued from difficult circumstances (e.g child labor, sexual abuse, victim of trafficking) with their families to prevent further exploitation may be awarded sponsorship and the children of families living in extreme conditions of deprivation or exploitation to enable the child to remain in his/her family. Rs. 2000 per child per month for maximum 2 children per family subject to revision in norms from time to time. Duration – Maximum up to “Three” years or up to 18 years, whichever is earlier other than exceptional circumstances. The term of the sponsorship will be decided by the Sponsorship and Foster Care Approval Committee (SFCAC). All application will be routed through District Child Protection Unit to avail sponsorship. Different documentation such as Individual Care Plan (ICP), Home Study Report (HSR) and Counselling records will be ensured. Facilitating to enroll in anganwadi/school for education of the child. Assist to open a Bank Account for online money transfer. Conduct follow-up to ensure effective mainstreaming. SFCAC has been formed in every district. The committee shall assess the sustainability of sponsorship through verifying the documents. It will recommend the tenure of sponsorship. Monitoring and review of sponsorship will be done by the committee too. 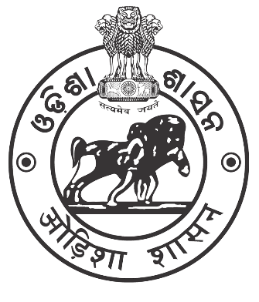 Child Welfare Committee under JJ (C&PC) Act issues Order of Sponsorship Placement. When the child achieves the 18 years of age. When the parent/family’s economic position has7 improved and parent/extended family does not require sponsorship for meeting the educational needs of their child/children. The child has stopped going to school/anganwadi (except in special instances of disability or illness of the child which shall be verified by the DCPU). At least 75% attendance in anganwadi centre/school is necessary. In case both parents suddenly become incapacitated or unfit to look after the child. Child has been institutionalised at CCI. It is found that sponsorship fund is being diverted and not being used for the overall development of the child. The child is continuously deliberately being neglected by the family/extended family. As per Sub-section 2 of Section 2 under Juvenile Justice (Care & Protection of Children) Act 2015, Adoption is the process through which the adopted child is permanently separated from his biological parents and becomes the lawful child of his adoptive parents with all the rights, privileges and responsibilities that are attached to a biological child. The prospective adoptive parents shall be physically fit, financially sound, mentally alert and highly motivated for providing a good upbringing to him. In case of a couple, the consent of both the spouses for the adoption shall be required. A single or divorced person can also adopt, subject to fulfilment of the criteria and in accordance with the provisions of adoption regulations framed by the Authority. A single male is not eligible to adopt a girl child. The prospective adoptive parents shall be physically, mentally and emotionally stable, financially capable and shall not have any life threatening medical condition..
No child shall be given in adoption to a couple unless they have at least two years of stable marital relationship. Upto 4 years, the Maximum composite age of prospective adoptive parents (couple) is 90 yrs and Maximum age of single prospective adoptive parent is 45 years. In case of couple, the composite age of the prospective adoptive parents shall be counted. The minimum age difference between the child and either of the prospective adoptive parents shall not be less than twenty-five years. The age criteria for prospective adoptive parents shall not be applicable in case of relative adoptions and adoption by step-parent. Couples with three or more children shall not be considered for adoption except in case of special need children as defined in sub-regulation (21) of regulation 2, hard to place children as mentioned in regulation 50 and in case of relative adoption and adoption by step-parent. This registration is meant for Indian citizens residing in India. Please give your correct residential address and telephone no. with area code. You or your spouse must have a Permanent Account Number (PAN) card and you have to upload PAN card in portable document format (.pdf) – size should not exceed 512 KB. You must have an email account and mobile number. After successful registration, you will receive an online acknowledgement letter which will contain your registration and credential details. In case you misplace your online acknowledgement letter, then it can be regenerated using Forgot Password link available in Track Status page. Photograph of person/s adopting a child (Post Card Size). Proof of Residence (Adhaar Card/Voter Card/ Driving License/ Passport/ Current Electricity Bill/ Telephone Bill. Proof of Income of last year (Salary Slip/ Income Certificate issued by Govt. Department/ Income Tax Return). In case you are married, please upload Marriage Certificate. In case you are divorcee, please upload copy of Divorce Decree. In case of death of your spouse, please upload Death Certificate of spouse. Certificate from a medical practitioner certifying that the PAPs(Prospective Adoptive Parents) do not suffer from any chronic, contagious or fatal disease and they are fit to adopt. In case of incomplete/wrong information, your application is liable to be treated as invalid. After registration, you should contact the adoption agency. All original documents will have to be produced for verification. Your eligibility for adoption will be decided by the adoption agency. The Juvenile Justice Act provides for an After Care Program for children without family or other support who leave institutional care after they attain 18 years of age to sustain themselves during the transition from institutional to independent life. The objective of this after care program is to enable such children to adapt to the society and to encourage them to move away from an institution based life. Foster Care is an arrangement whereby a child lives with an extended or unrelated family on temporary basis. The aim is to reunite the child with his/her own family when the family circumstances improve and to prevent institutionalisation of children in difficult circumstances. The target group of children who are not legally free for adoption, and whose parents are unable to care of them due to illness, death, desertion by one parents or any other crisis. The Child Welfare Committee, Koraput is the approving authority to issue order for Foster Care support. Sponsorship and Foster Care Approval Committee shall be constituted in each district to implement and monitor sponsorship and Foster Care Programme. The Institutional Care is Children in Need of Care and Protection (CNCP) and Juvenile in Conflict with Law shall be provided short term and long term institutional services as per the requirements under JJ(CPC) Act and Rule. The Institutional Services shall cater to various needs of such children such as place of safety, food, cloth, health care, other basic services, education, life skill, vocational training and also work for family restoration and rehabilitation. The child in Conflict with Law shall be produced before the Juvenile Justice Board (JJB) and the Child in Need of Care and Protection shall be produced before the Child Welfare Committee (CWC) of the district. The CWC is the statutory bodies that are authorised to refer a child to any institutional care set up. In accordance with the provisions under section-27 of the Juvenile Justice (Care & Protection of Children) Act, 2015 and read with rule-15 of the Juvenile Justice (Care & Protection of Children) Model Rules, 2016, the State Government constitutes Child Welfare Committees in districts time to time, for exercising the powers & to discharge duties, conferred on such committees in relation to Children in Need of Care & Protection under this Act and Rule. As per section-29 of the Juvenile Justice (Care & Protection of Children) Act 2015, the Committee shall have the authority to dispose of cases for the care, protection, treatment, development and rehabilitation of the children in need of care and protection, as well as to provide for their basic needs and protection. Where a Committee has been constituted for any area, such Committee shall, notwithstanding anything contained in any other law for the time being in force but save as otherwise expressly provided in this Act, have the power to deal exclusively with all proceedings under this Act relating to children in need of care and protection. In pursuance of Section-4 of the Juvenile Justice (Care and Protection of Children) Act, 2015 read with rule-3 of the Juvenile Justice (Care & Protection of Children) Model Rules, 2016, the State Government constitutes Juvenile Justice Boards in the districts time to time, for exercising the powers & to discharge duties, conferred on such Boards in relation to Children in Conflict with Law under this Act and Rule. As per section-8 of the Juvenile Justice (Care & Protection of Children) Act, the Board shall, notwithstanding anything contained in any other law for the time being in force but save as otherwise expressly provided in this Act, have power to deal exclusively with all proceedings under this Act, relating to children in conflict with law. The powers conferred on the Board by or under this Act may also be exercised by the High Court and the Children’s Court, when the proceedings comes before them in appeal, revision or otherwise. Any other function as may be prescribed.